one last hurrah of sunshine & warm temps before Fall takes over. 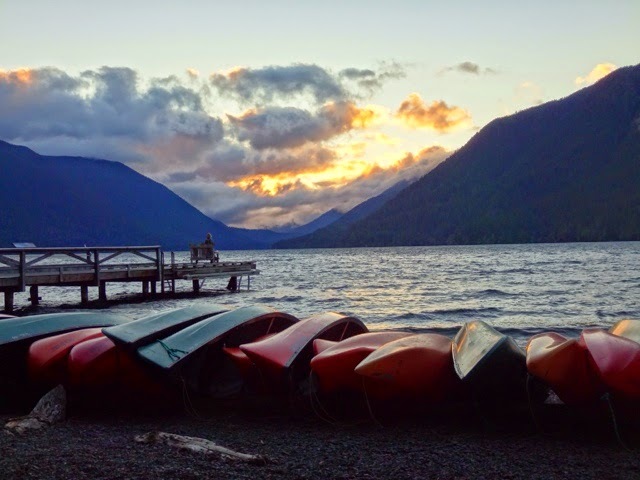 My oldest grandchild, Liddy reminded me that we haven't been kayaking all year. So we decided it was a perfect day for floating down the river. Grandpa was our transport helper, dropping us off & picking us up. It was her first float on the river. but she did fine and led the way. Our adventure included exploring a few islands in the river too! My favorite time of year has arrived. We are back home, settling in & getting ready for winter. 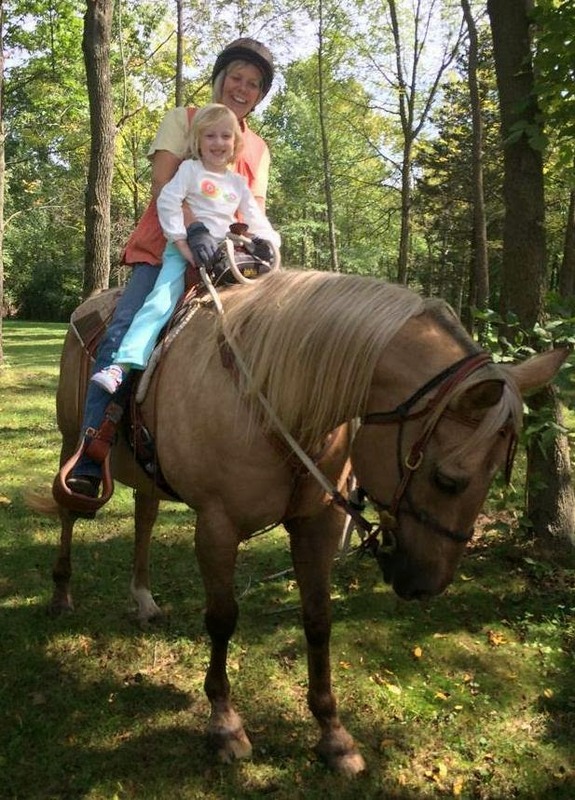 Of course, I had to get back in the saddle. And picking up a few hitchhikers is always fun. 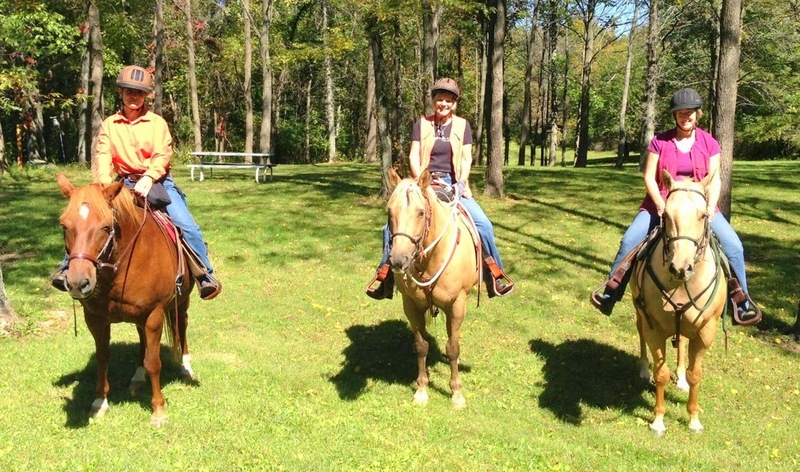 And the weather is perfect for trailriding with friends. And we finally have hay! Yea! this is the latest we've ever gotten hay. Our last park was Mount Rainier and we glimpsed the mountain as we drove south. 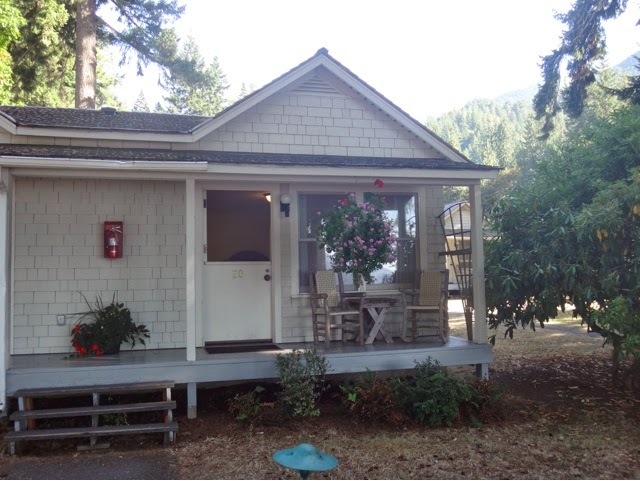 We stayed at the Paradise Inn in the shadow of the mountain. And the hiking was great. We were lucky enough to see some wildlife such as this fawn. And this well camouflaged ptarmigan. 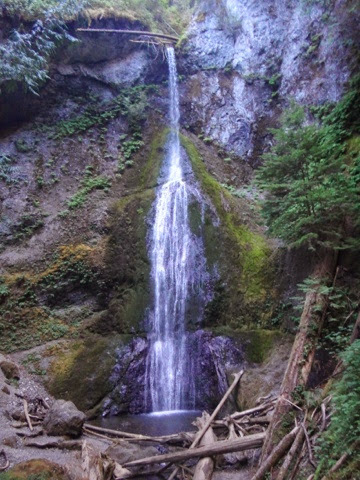 This is Narada Falls, near Paradise. 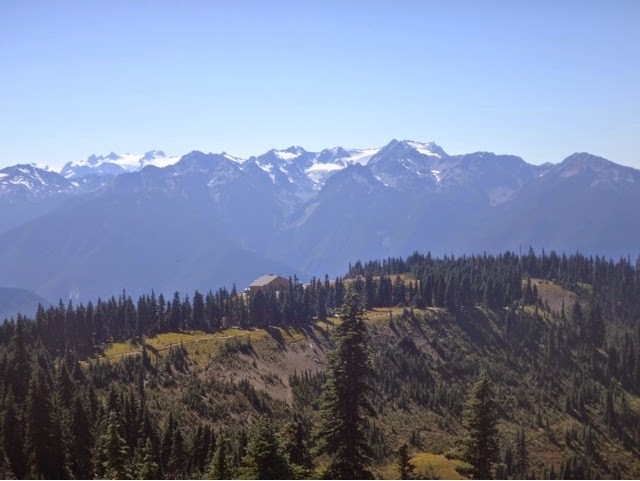 We took a hike with a ranger and saw the Nisqually glacier, one of 25 glaciers on the mountain. The dark hole in the valley is the floor of the glacier where snowmelt is flowing down the mountain. which gets about 150 inches of rain annually. A temperate rainforest is dominated by conifer trees unlike a tropical rainforest. Ferns dominate the forest floor. Manmade objects slowly get covered by the vegatation. And the trees tower over everything. In the rainforest, everything is green. 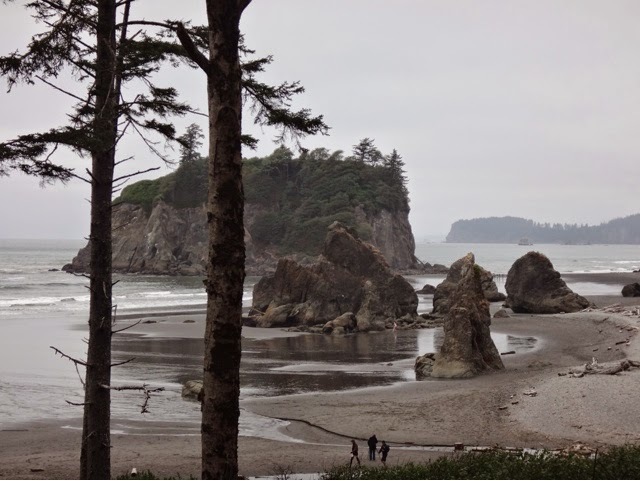 We explored Ruby Beach along the pacific shore. 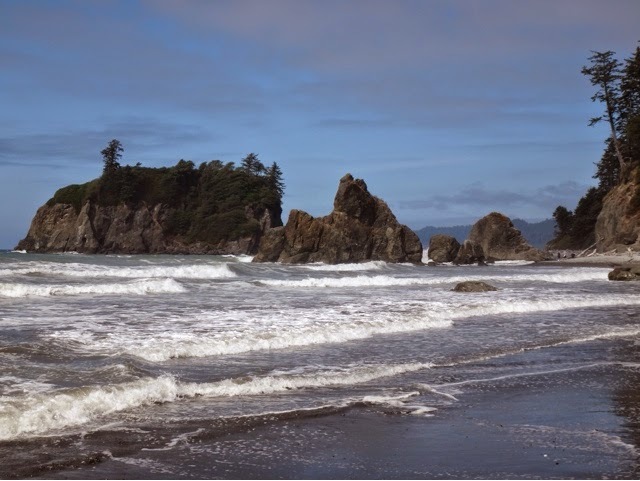 We first saw the beach at high tide. Then returned later at low tide. 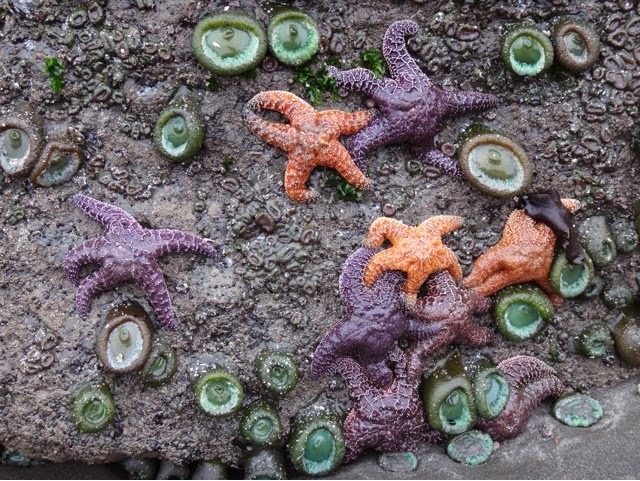 We searched around the exposed rocks & tide pools for sea life and found some! 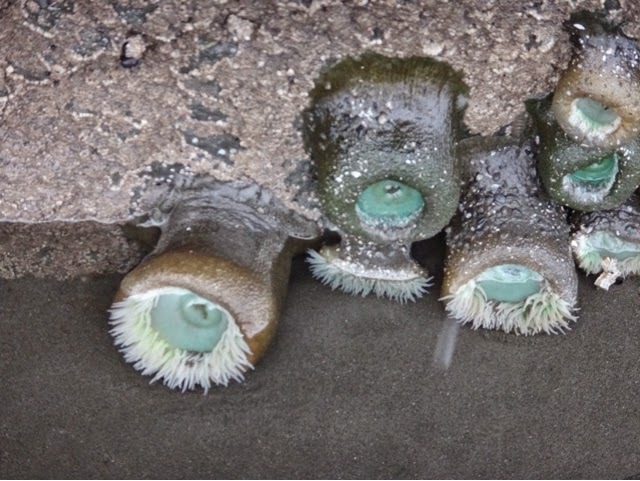 At first I didn't realize that the green cup-like things were sea anemones. 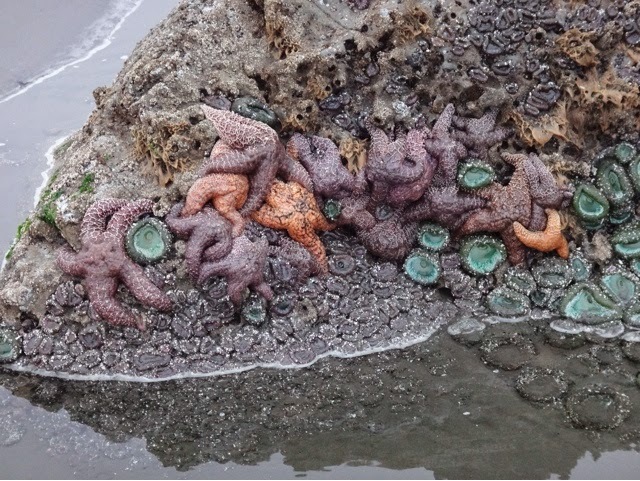 A mosh pit of star fish! 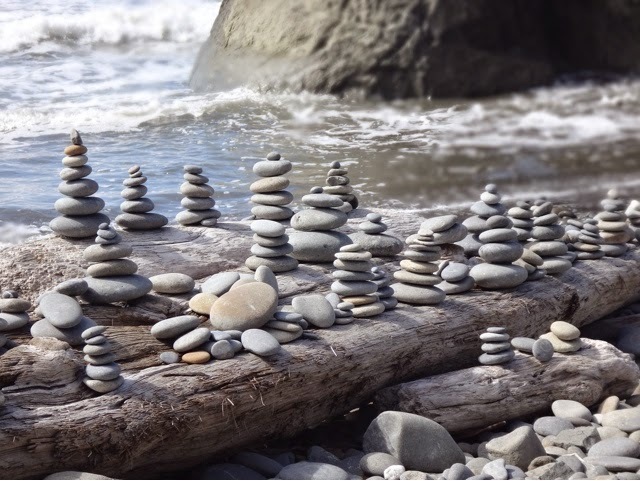 The beach also has lots of stacked rock art! 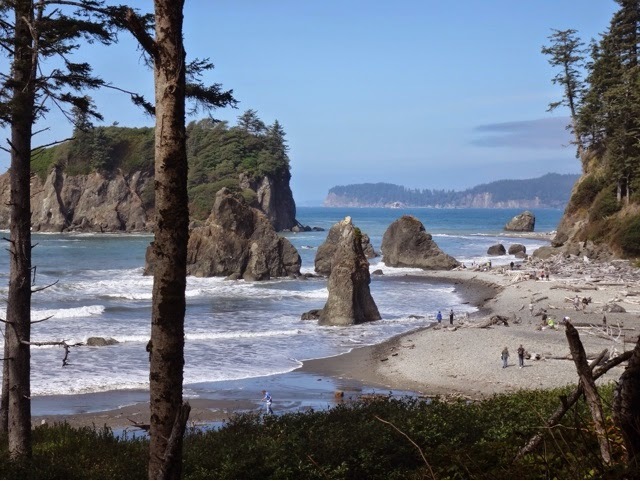 Olympic National Park is huge and has several distinct ecosystems, mountains, coasts, rain forests & lowland forests. Today we explored the lowland forests with its many waterfalls. This is Marymere Falls, a short hike from our cabin. 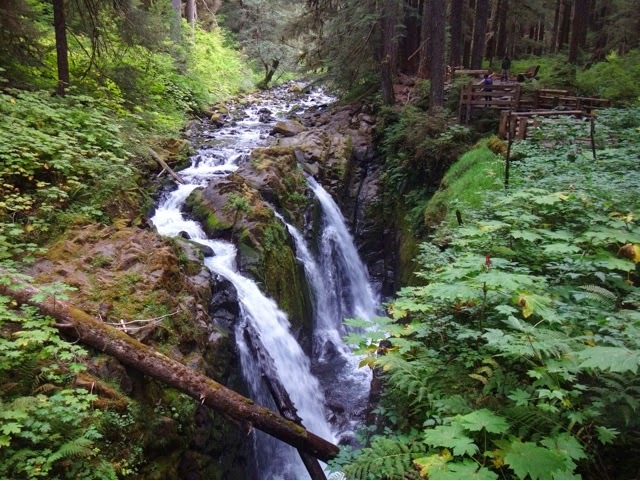 And this is Sol Duc Falls. 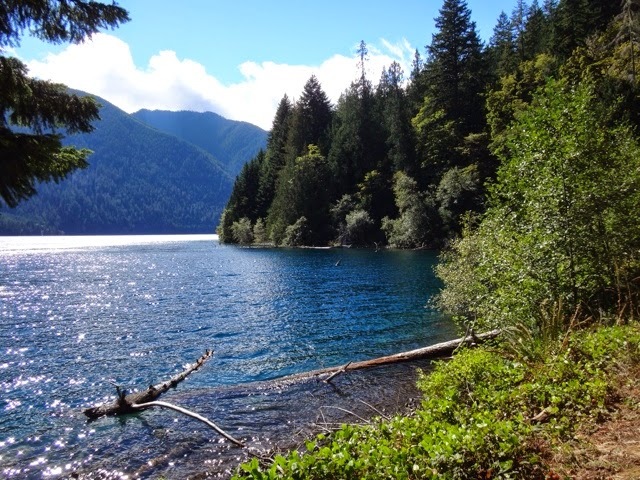 We also hiked the Spruce Railroad Trail along the north shore of Lake Crescent. The end of another fun day. 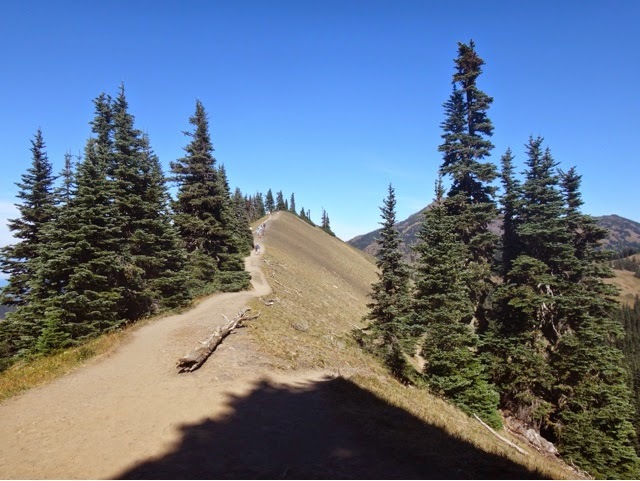 We have arrived at the Olympic National Park and the first order of business was hiking Hullicane Ridge. We hiked to Sunrise Point and could see for miles. We could see Mt. Olympus covered in glaciers beyond the visitor center. 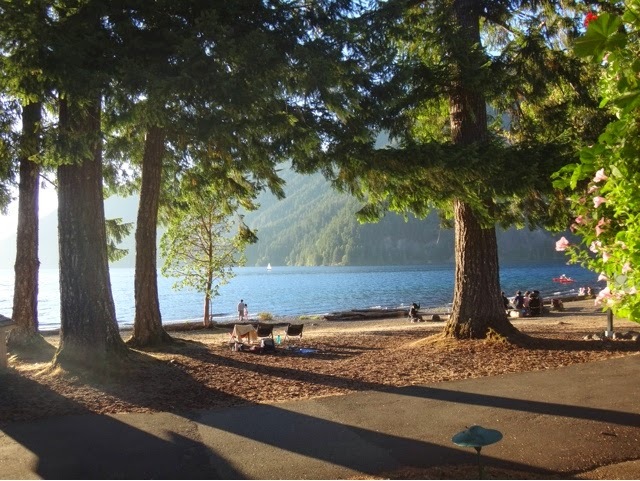 We continued on highway 101 to Lake Crescent Lodge. This is our home for the next few days. 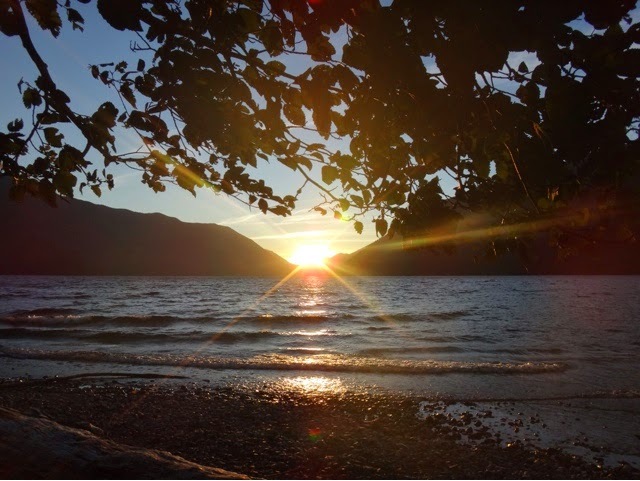 The sun setting on Lake Crescent. 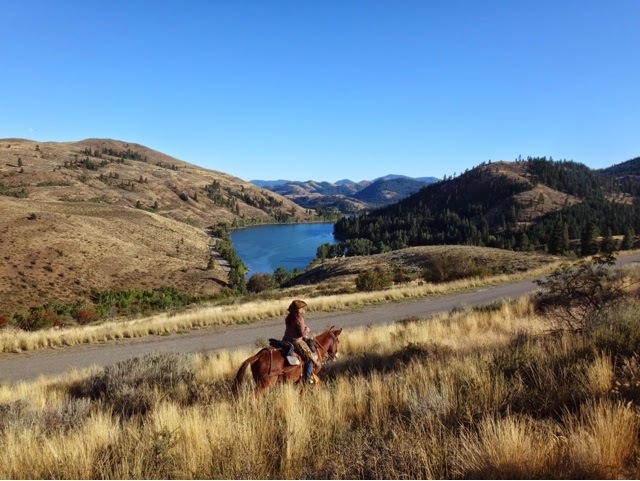 The Sun Mountain Lodge in Methow Valley has a wonderful horseback ride & cowboy dinner for its guests. 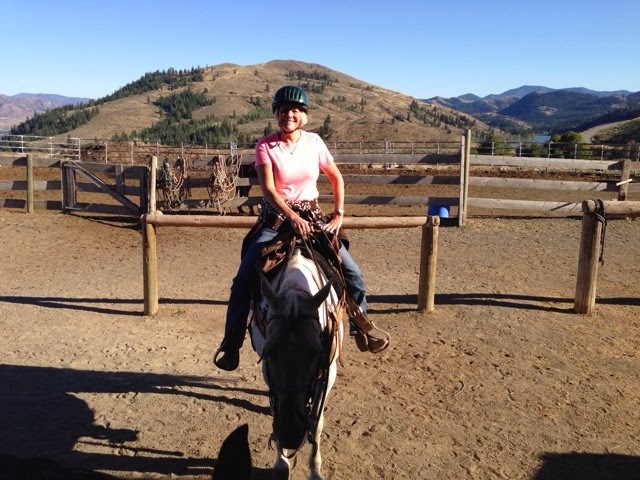 This is me on Buttermilk, my mount for the evening. 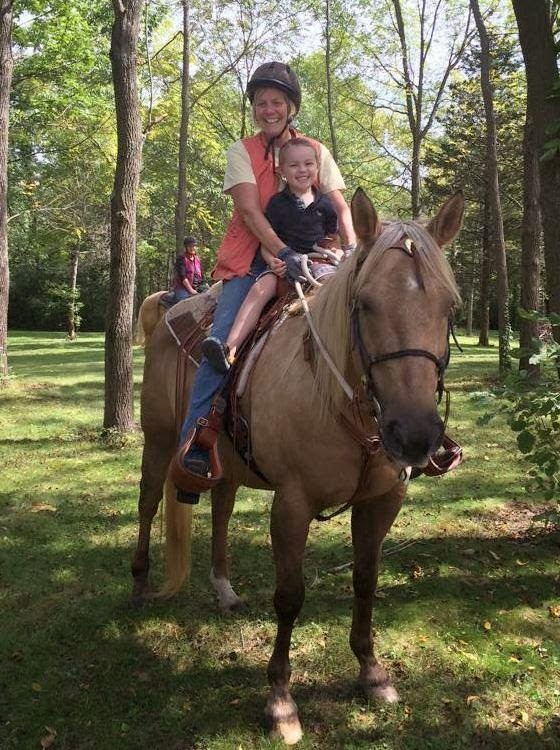 Our wrangler guide, Red, did a great job keeping everyone safe and having fun as we rode through the beautiful countryside. 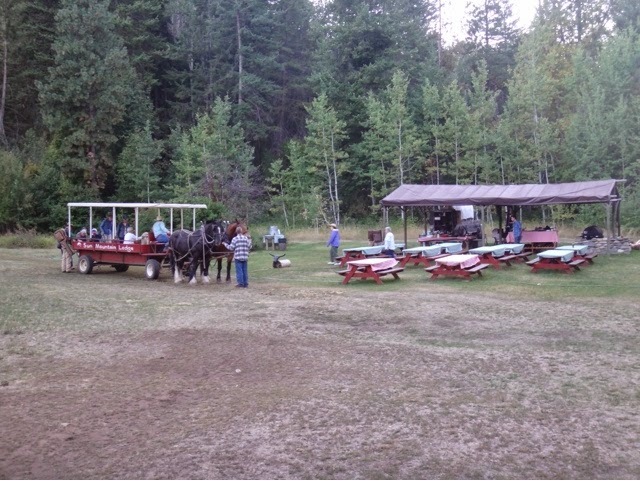 You can also take a covered wagon to the homestead, where dinner is served. 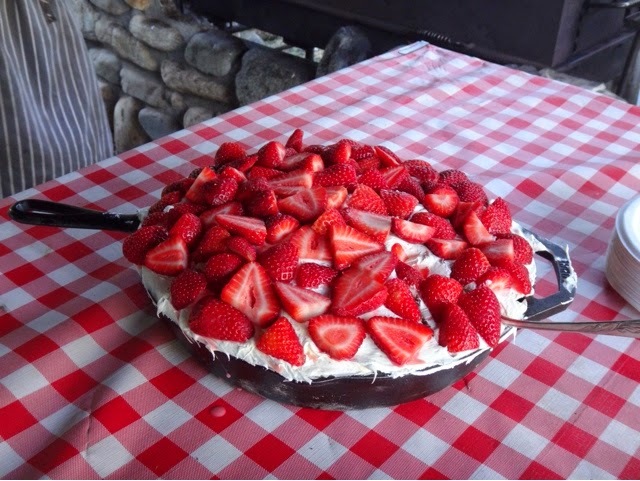 Dinner was delicious and included grilled tri tip steak & chicken, salad, fruit, cowboy beans, cowboy potatoes, cornbread and this yummy desert. 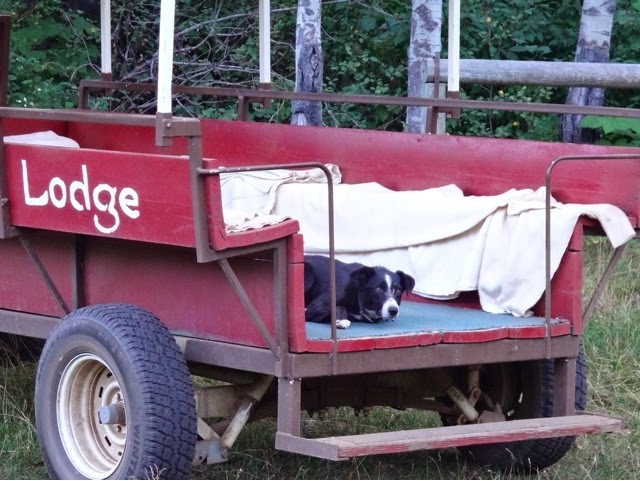 We were accompanied by Maggie, the barn dog who was relagated to the wagon during dinner. 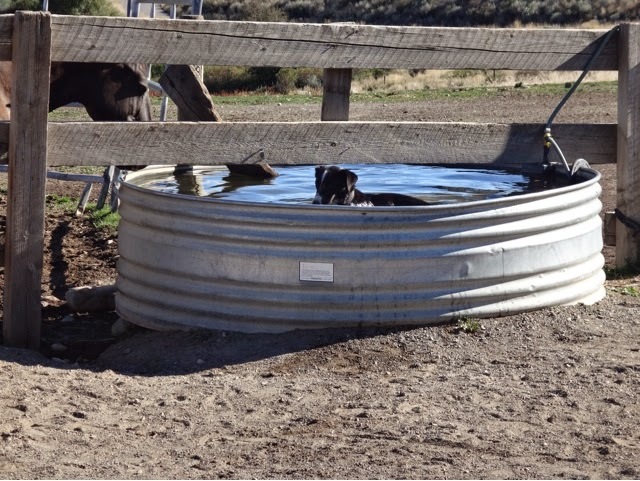 Once back at the barn, she cooled off in the horse trough, her personal swimmin' hole!